In town for a panel discussion on the soul, rhythm & blues and the history of race and music in Asbury Park, Bruce joins Southside Johnny, Vini Lopez, Bobby Thomas, Billy Ryan, Ed Manion and others on stage at the Wonder Bar. The event is part of a special concert titled "Nicky Addeo and Friends celebrate the Music of Asbury Park's Westside." 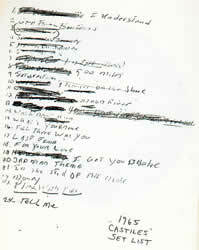 Springsteen provides backing guitar and vocals for most of the tracks, and takes the lead for "C.C. 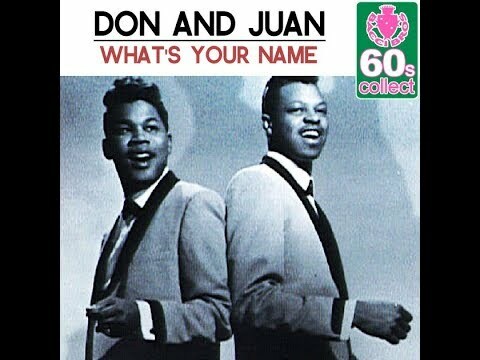 Rider", Don & Juan's "What's Your Name" and the second verse of "Stand By Me"
"What's Your Name" is a popular song written by Claude "Juan" Johnson. Released by the duo Don and Juan on Big Top Records in 1962. It was their only Top 40 hit. What's your name? May I walk you to your door? What's your name? Is it Mary or Sue? What's your name? Do I stand a chance with you? Oh-oh, what's your name? (what's your name?) Is it Mary or Sue?